Home » Blog » Blackworthy News » The New Year was for the New You! The New Year was for the New You! 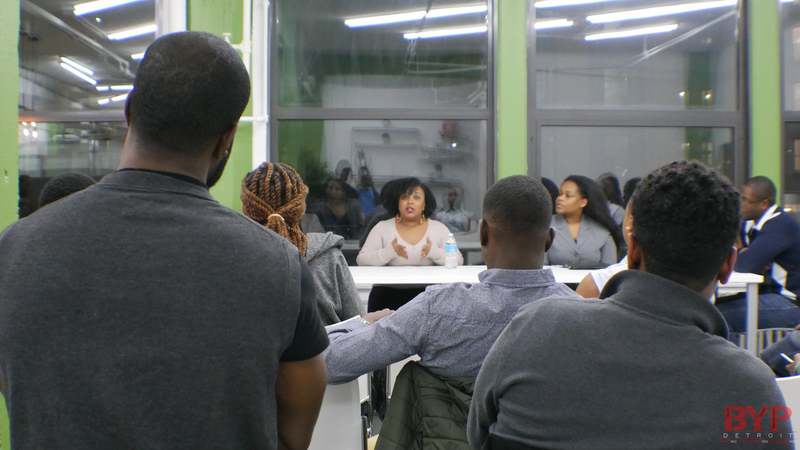 We discussed things every Black young professional needs to know this year. 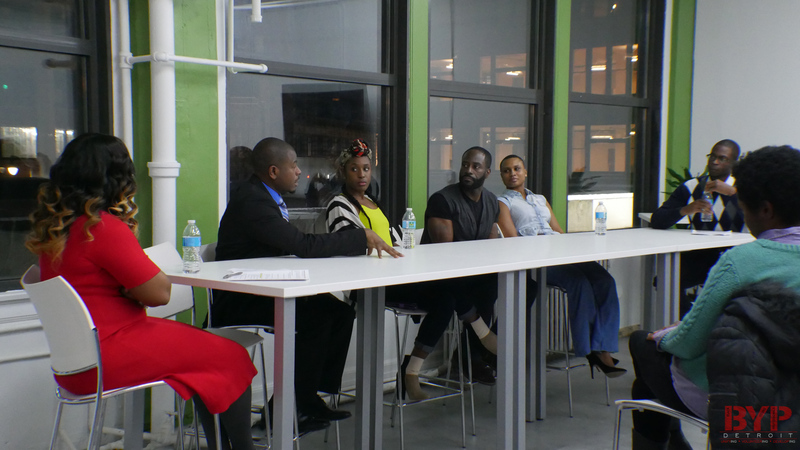 Thank you to all of our panelists and guests who made it to our New Year New You event on Feb 1st. Every chair was full with only standing room left. 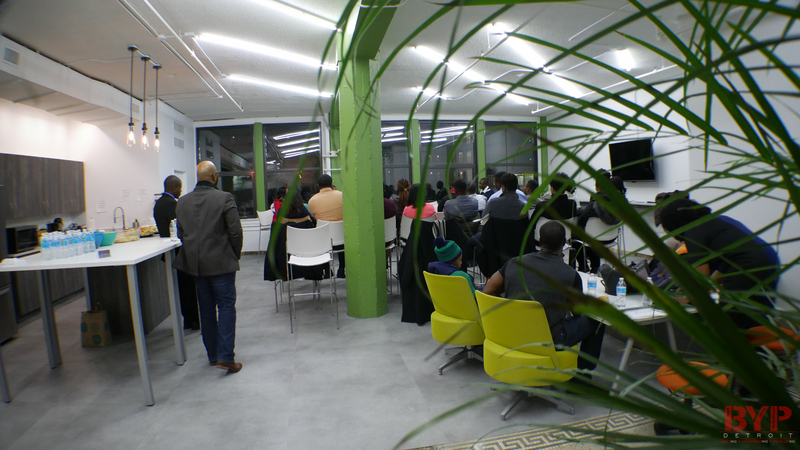 This workshop took place in the heart of the city at Bamboo Detroit. 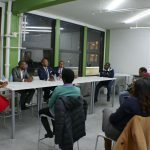 Many new faces and existing members were in attendance to hear three all Black panels of local subject matter experts discuss fitness, money, and health. We provided food and beverage for this free event. 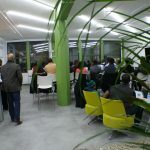 This was our second event for 2017. Focus on eating foods in their most native or raw form. The more derived or processed they are, the less good they have in store for you. Beware of the “fake” healthy foods such as “Fat-Free” processed foods, flavored Yogurts, 100% fruit juice, and sports drinks. They can have surprisingly high amounts of sugar or other unnatural additives/preservatives which are not necessarily good for you themselves. In fact some things can be bad enough to outweigh the benefit of the low fat content. Nothing can have the best of you if consumed in moderation. African Americans have a high rate of heart disease, diabetes, and cancer. A lot of it can be genetic and still happen despite how well you eat and workout. So please get annual physicals, blood work, and urine samples also. Learn your family’s health history, and talk to your doctor about it and your risk for any related diseases. Some form of physical movement is necessary for health improvement. Walking, roller skating, biking, jumping rope, running… anything… on a consistent basis, helps! Unaddressed health issues can undermine weight loss or muscle gain efforts. Again, get thorough annual exams! If you do not have adequate health insurance, there are clinics available with fees on a sliding scale which can help you, even outside of Detroit! Physical fitness doesn’t require a gym membership. It requires dedication and repetition. Check out financial management app PocketSmith for an intuitive accurate way to manage your day-to-day budget in a calendar format and predict account balance, savings, and the impact of other expenses to your bottom line. Check out financial management app Mint for an in-depth analysis of your spending habits and tips to be more effective with your money and save more. Check out online app YNAB (You Need A Budget) for an online budgeting app. Consider doing your taxes yourself using TurboTax, TaxAct, or H&R Block online tax services. Compare and choose the best for your money and situation. Common examples of millennial overspending are hidden in: eating out, parties (strip clubs, casinos, high-end clubs), vacations, and ATM fees. Watch out for those and work hard to minimize! Insurance is the live vest to protect what you’ve accumulated as a young professional from drowning in the case of a disaster. Disability insurance protects you in case you can’t work due to being disabled from illness. Your work may offer it, but you must be full-time to keep it. Check with your employer for requirements and stipulations regarding your disability benefit. Know what it covers, what it doesn’t cover, and when it kicks in, and how you could lose it. Life insurance gives money to your dependents should you pass away. If there is anyone depending on you, you need this. This also covers your funeral expenses. Too often, Black families are caught with a loved one who doesn’t have proper coverage for their own funeral. Auto Insurance covers your car. Only get the level of coverage you need. Shop around and review your options every 1-2 years to keep the lowest rate. Rental Insurance. As young professionals, many of us rent or lease our current residence. Rental insurance is essential to protect your belongings should a fire, flood, or other catastrophe. Some rental/lease agreements require you keep rental insurance to cover the property in case you are found responsible for a fire or other major damage. The property insurance provided by your landlord only covers the structure. Not your belongings, no matter who is at fault. Rental insurance is usually very affordable ($100 a year or less) to cover $10,000 to $20,000 in personal property. Discipline is essential to saving money and growing your safety net (savings account for rainy day issues). Build it up! Start contributing to your retirement accounts early as possible. The first big job at age 24 is the perfect time to start. This could be a company sponsored 401k or a IRA/Roth IRA account. If your company provides “matching” funds towards your retirement account, always contribute at least the minimum to maximize the match. Anything less is throwing away free money! Micro investment apps such as Acorns and Stash can help you try to turn a few bucks into a few more bucks. Use them with caution, moderation, and don’t expect high returns. Some stress is good. A lot of stress is bad. It can physically affect your body in negative ways which you can feel. Dealing with stress comes in many forms. It fundamentally consists of decoupling yourself from the stress inducing stimulations or thoughts for some period of time, so that your body can physically relax. Breathing is important when dealing with stress. Keep full breaths and slow yourself down when possible. Meditation is one way to achieve disconnection from negative stimuli. Meditation is inclusive of the exercise practice known as Yoga. 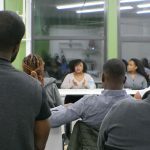 Common stressors for a young Black professional include taking care of family, struggling to make ends meet fresh out of school, student loan debt, and Facebook/Social media. Be aware of these and prepare yourself to grapple with them. Another common stressor: “Keeping up with the Joneses” – Envy of other young professionals who appear to be “living the life” but actually aren’t saving for retirement, don’t have proper insurance, and are generally burning money daily. It’s a false life that people see as being better than theirs when in reality, with time, the tables will turn. Stay off Facebook and focus on your true friends, not people you don’t know. They’re likely only showing you the 1% of their life that is good to make them look great. You know your true friends, and you are happy when they succeed too. So filter your feed accordingly. Common mental health issues for Black Americans include Major Depression, PTSD, ADHD/ADD, and Anxiety. Too often, mental health in the Black community is perceived as taboo. We must lift that perception because it inhibits family and friends from getting help. Our community thinking this way inhibits healing and growth of our people. Life Coaching is the practice performed by a person who helps you reach goals and/or make changes in your life. They provide support and help you clarify what you want. Life Coaches can be certified, but it’s also important that you pick someone you like. You should have an upfront interview with them first (for free). 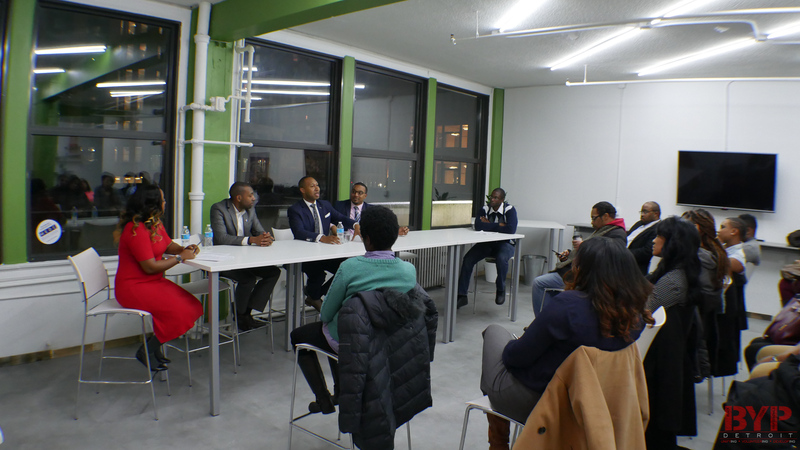 If you’d like to be notified when we have our next panel discussion, or just want to be sure you don’t miss New Year New You 2018, become a member of Black Young Professionals…. or at least join our mailing list! 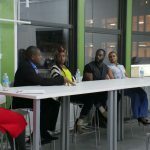 Thank you again to our wonderful panelists, and please check them out at their websites or LinkedIn pages. If you’d like further information about the event or the panelists, please contact us! We’d be happy to connect you.